Drum roll, please! Ten-Thousand Years or More. The correct answer is “D.” Sea level has been rising for 10,000 years. Actually, as Mike pointed out, 20,000 years would be a more appropriate answer. This corresponds with the decline of the last ice age (or glacial period). Sea level rose rapidly from 19,000 year ago until 6,000 years ago. From 6,000 to the present sea level has been rising at a variable but much lower rate. If you want to see sea level rise at a rate comparable to the period between 19,000 and 6,000 years ago, you are probably going have wait until after the next ice age. But be of good cheer. Ice ages are cyclical, and the next one may be overdue and just around the corner. These cycles have been very important in human history. It is thought that humans first arrived in North America via a land bridge between Asia and what is modern day Alaska. At that time there was no San Francisco Bay and the Pacific shoreline was out near today’s Farallon Islands. Most importantly to our own history, the soils that once supported immense herds of bison and later made the U.S. a bread basket to the world, were a gift of the retreating glacial ice that once covered much of the continent. 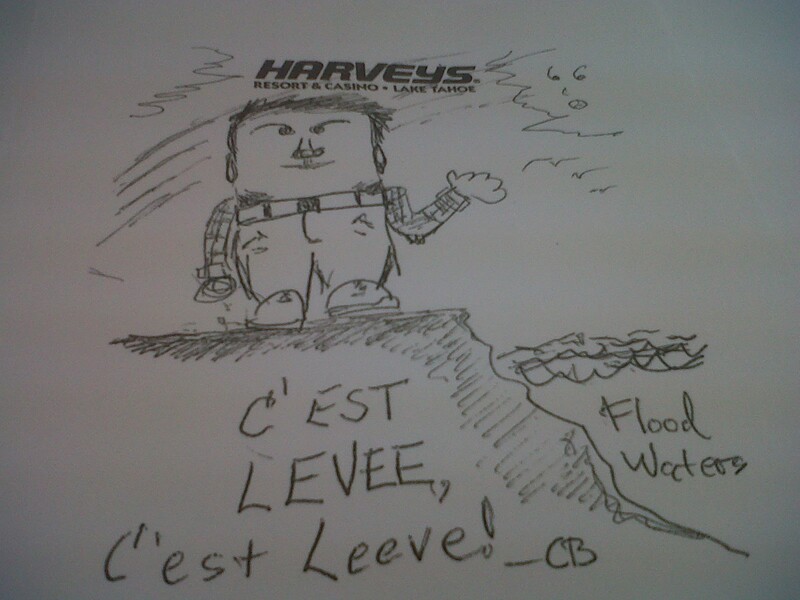 This entry was posted in Hydrology, Water and tagged Climate Channge, Gobal warming, sea level rise. Bookmark the permalink. 3 Responses to Drum roll, please! Ten-Thousand Years or More. so are you saying we shouldn’t consider buying a house in the Bay Area then? Davis is only 52 feet above sea level. The front door of my office in Sacramento only19 feet abpve sea level. I think you are Ok.